News. About accounting records for 2011. About employment of foreign citizens. About an order of reception of deductions under the VAT. The most important of the recent clarification of officials who should take into account in the preparation of "profitable" statements. The most important explanation of officials to calculate the VAT for the last six months. Purchase of exclusive rights to the software for less than 40 thousand rubles. (In 2011 - 20 thousand rubles). relate to other costs (paragraphs 26 § 1 of Art. 264 RF) (RF Fderalny law of 07.06.2011, № 132-FZ). Article 262 of the Tax Code, as set out in the new edition provides a detailed list of expenditures on R & D taken into account when calculating the tax on profits in other expenses. Most of them are taken to account in the reporting (tax) period in which the completed research or development. In addition, we introduce a new item. 267.2 and 332.1. Tax Code, governing the creation and use of reserves for R & D (Federal Law of 07.06.2011, № 132-FZ). been prolonged § 24.1. of Art. 255 of the Tax Code regarding non-inclusion in the tax base for income tax amounts paid by the organizations and entrepreneurs to its employees for reimbursement for payment of interest on loans to purchase (construction) of housing, but not more than 3% of payroll (Federal Law of 21.11.2011, № 330-FZ). Features of determining the tax base (Art. 278.2) Income received by members of the investment partnership agreement (Federal Law of 28.11.2011, № 336-FZ). Interest on the deposit accounts of credit institutions funds received for the establishment or replenishment of the endowment-for-profit organization not included in the tax base (§ § 43 paragraph 1 of Art. 251 of the Tax Code) (Federal Law of 21.11.2011, № 328-FZ). Features of determining the tax base (Art. 174.1) in carrying out operations in accordance with the agreement of the investment partnership (Federal Law of 28.11.2011, № 336-FZ). Article 164 of the Tax Code (tax at a rate of 0%) completed the implementation of works (services), transportation (shipping) exported outside the territory of Russia or imported into the territory of the Russian Federation of goods by sea vessels and mixed (river - Sea) sailing under charter at the time (time charter). In addition, Art. 165 of the Tax Code supplemented by the relevant paragraph of the submission of documents to confirm the 0% rate (Federal Law of 07.11.2011, № 305-FZ). 3000 rubles - for the third and each subsequent child. The maximum amount of income, as now, is 280 thousand rubles. extended the AP. 40 Art. 217 of the Tax Code regarding non-inclusion in the tax base for personal income tax amounts paid to organizations and entrepreneurs to its employees for reimbursement for payment of interest on loans for the purchase (construction) of housing. The restriction (3% of payroll) for tax purposes, income (§ 24.1. Art. 255 of the Tax Code) and personal income tax saved. 3.2. Tax agents in personal income tax (Article 230 of the Tax Code) provide information on the form of 2-PIT electronically via telecommunication channels or on electronic media. When the number of individuals receiving income in the tax period up to 10 tax agents may be such information on paper (Federal Law of 18.07.2011, № 277-FZ). 3.3. The peculiarities of determining the tax base (Art. 214.5) on income received participants in the investment partnership (Federal Law of 28.11.2011, № 336-FZ). 3.4. Approved a new procedure for the submission of information about income individuals and error messages about keeping personal income tax. As before, the tax authorities presented a 2-PIT and register. The established order comes into force from reporting for 2011. Documents may be submitted in person, by mail or electronically. Deadline for submission of documents for 2011 — not later than 02.04.2012, the (Order of the Federal Tax Service of Russia from 16.09.2011, the). 3.5. For taxpayers (Article 228 of the Tax Code) approved a new form and procedure for completing the tax return of 3-PIT and the format when submitting electronically. Tax return for 2011 must be submitted no later than 02/05/2012, the (Order of the Federal Tax Service of Russia 10.11.2011, № MMV-7-3/760). Order of Economic Development of Russia from 01.11.2011 № 612, the coefficient K1 deflator used in order to calculate UTII is set at 1.4942. Changes in the Tax Code. to changes in the value of previously shipped goods (works, services) transferred property rights to the buyer the seller must put corrective invoice showing it mandatory new details (section 5.2. Art. 169 of the Tax Code) not later than five calendar days. Correction invoice can be billed only if required by contract or other document confirming the agreement of the buyer on the change in value. If you change the value of goods (works, services) to decrease the corresponding difference between the amount of tax calculated to and after the change, the adjustment indicated in the invoice with a negative sign. At the moment of true-up invoice the buyer the opportunity to take the deduction (restoration) of the amounts of VAT (Articles 168-172 of the Tax Code), in the case if corrective invoice with a "+", the seller must submit an updated calculation for the period in which there was a shipment (§ 10 of Art. 154 of the Tax Code). Order of the Health Ministry of Russia from 26.04.2011, № 342n (Ministry of Justice number 20 963), effective from 01/09/2011, and adopted pursuant to Art. 209 of the Labor Code, approved a new procedure for certification of workplaces on working conditions. Certification is carried out to assess the conditions in the workplace and to identify harmful and (or) safety hazards. 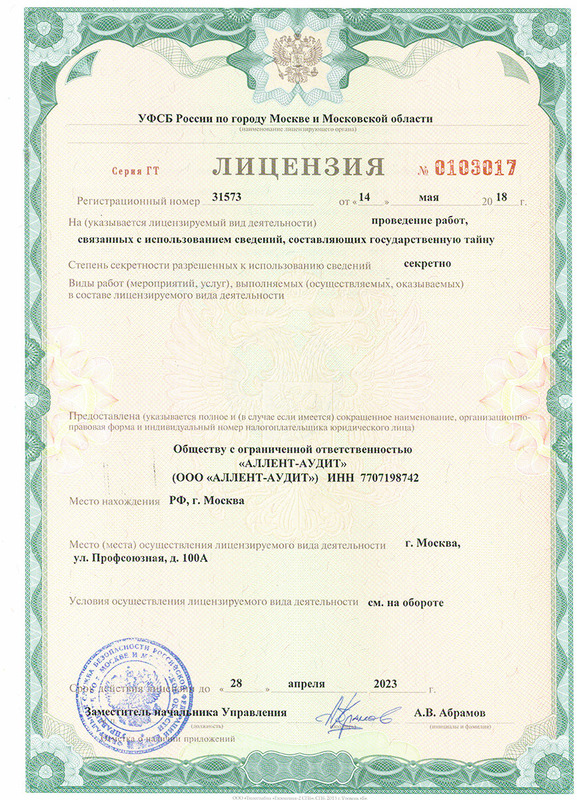 Certification, as opposed to the existing order (the Order of the Health Ministry of Russia of 31.08.2007, № 569) carried out jointly employer and be certified organization engaged by the employer to perform work on certification, under a contract of civil-legal nature. Art. 262 of the Tax Code, contained in the new edition provides a detailed list of R & D spending accounted for when calculating the corporate income tax in other expenses. Most of them are taken to account in the reporting (tax) period in which the completed research or development. In addition, we introduce a new art. 267.2 332.1 and. Tax Code, governing the creation and use of reserves for research and development. Federal law of 01.06.2011 № 106-FZ established that, the 01/06/2011 the minimum wage was increased from 4330 to 4611 rubles per month. Specified minimum wage applies only to regulate wages and determining temporary disability benefits, maternity leave, and for other purposes of compulsory social insurance. Accounting in Organizations applying UPDF. list of documents for the amount paid any other fees charged by the payers of insurance premiums — insurers in favor of an individual (ADV-6-4). The document also amended the instructions for completing the forms to the individual record. Letter UFNS Russia in Moscow from 05.10.2010 N 16-15/104035 explained that if the applying organization is also implementing a simplified tax system activity subject UTII, then it is obliged to keep records and submit relevant reports to the organization as a whole. Change of forms of accounting records in 2011 (important). The order of the Ministry of Finance of Russia from 9/22/2010 № 108н, coming into force since annual accounting records for 2011, the Order of the Ministry of Finance of Russia from 7/22/2003 № 67n «About forms of accounting records of the organizations» becomes invalid. We remind that for 2011 it is necessary to represent annual accounting records under the forms confirmed by the Order of the Ministry of Finance of Russia from 02.07.2010г. № 66n. The Order of the Ministry of Finance of Russia from 7/2/2010 № 66н (Ministry of Justice № 18023), coming into force from annual accounting records for 2011, confirms new forms (can be presented on demand) to accounting records (the balance sheet, the profit and loss statement, the report on capital changes, the cash flow statement, the report on target use of the received means). Thus for reporting representation in state structures (etc.) the organizations in all forms are obliged to specify to sneaks, the statistican codes of lines (for example, instead of a code 300 about the sum of a balance sheet asset of the acting form of the balance sheet it is necessary to specify a code 1600, instead of a code 190 about the size of net profit (a loss) the acting form of the profit and loss statement it is necessary to specify a code 2400 etc.). By the order it is specially noticed that the organizations have the right to determine independently detailed elaboration of indicators under balance sheet items and the profit and loss statement. The explanatory note to the balance sheet and the profit and loss statement also is determined by the organizations independently and can be arranged in tabular and (or) the text form. In the document examples of registration of the explanatory note in the tabular form are resulted. Subjects of small business (including applying special tax modes УСНО and ЕНВД) can in the balance sheet and the profit and loss statement to include indicators only on groups of clauses (without detailed elaboration of indicators under clauses), and in other appendices should the most important information without which knowledge the estimation of a financial position of the organization or financial results of its activity is impossible is resulted only. We pay attention that the intermediate reporting for 1 quarter, 1 half-year and 9 months 2011 should be constituted under acting forms (the Order of the Ministry of Finance of Russia from 7/22/2003 № 67н), however by the time of annual accounts preparation for 2011 in whole it will be necessary for all organizations to transform the data of the previous reports to a railroad train of new forms. About employment of foreign citizens (important). the Order of Federal migratory service from 6/28/2010 № 147 (Ministry of Justice № 18010), accepted to execute the changes which have entered with 7/1/2010 in the Federal act of the Russian Federation from 7/25/2002 № 115-FZ "About a legal status of foreign citizens in the Russian Federation" (the review from 5/27/2010 see) confirms forms of the petition of the foreign citizen about its attraction as the highly skilled specialist, the form of notifications of the organizations about the conclusion (termination) of the employment contract and employment of the foreign citizen, and also other forms of documents, work-related both obligations about a payroll payment and grantings of holidays (including work under the civil-law agreement) foreign citizens in territory of the Russian Federation. Documents concern both attraction of highly skilled specialists, and the citizens who have arrived to Russia is perfectly in order, not demanding visa reception. About an order of reception of deductions under the VAT in case the invoice it is exposed by the seller in one tax period, and it is received by the buyer in a following tax period. In connection with the letter concerning application of deductions under the tax to value added the Department of a tax and customs-tariff policy reports. On the basis of items of item 7 and 8 Rules of conducting log-books of the received and exposed invoices, books of purchasings and sales ledgers at calculations under the tax to the value added, confirmed by the Governmental order of the Russian Federation from 12/2/2000 N 914, the invoices received from sellers, are subject to registration in the book of the purchasings which conducting is necessary with a view of determination of the sum of the tax to the value added, shown to a deduction in process of origin of the right to the tax deductions in an order established by item 172 of the Tax code of the Russian Federation (further - the Code). By Positions of the specified clause of the Code it is provided that deductions of the tax to value added are produced only in the presence of invoices. Thus, in a case if the invoice it is exposed by the seller in one tax period, and it is received by the buyer in a following tax period the deduction of the sum of the tax should be produced in that tax period in which the invoice it is actually received. We Pay attention that the present letter has information-explanatory character and doesn't contain rules of law or the general rules concretizing standard prescriptions. INT 7707198742 Address: Dubninskaia st., 13, Moscow, 127474, Russia. accounting service for organizations, companies, firms, individual entrepreneurs, limited liability companies in Moscow. Auditing.